This property is now SOLD - we need more in this area. Thinking of selling? Ideally suited to the family or couple looking for a home that is complete, ready to move into and requires no maintenance. Put your Christmas tree and decorations up! This home is perfection in every detail and ready for the new owners. You'll definitely love living here. * Gourmet Kitchen with stone counters, pantry, overhead cupboards and a gas cooker - a pleasure to cook in for any budding chef. * Manicured easy care gardens feature rolling green lawns and a variety of fruit trees surrounding the home offering both privacy and a tropical ambience that is enjoyed from every window in the home. * Soothing Magnesium Salt water pool perfectly positioned in the back yard surrounded by lush gardens - You'll feel like you're on holidays - every day! * Traditional 838m2 block is fully fenced with 1.8m fencing and comes complete with a low maintenance fully automated irrigation system. Discover the relaxing, tropical ambience this home has to offer both inside and out - this home not only looks good - it feels right and you will definitely love living here. * Easements: Sewerage - rear boundary. * Rates: $1,720 pa approx. 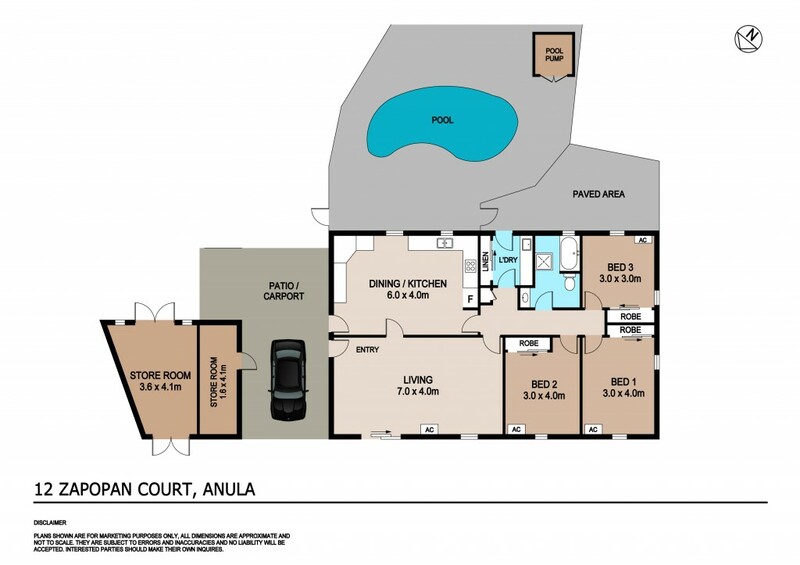 Nestled in one of Anula's best streets, 12 Zapopan Court is a property that offers more than just a house - it's a family home that shouts welcome! Call George today to discover all this dream home offers - 0438004800.